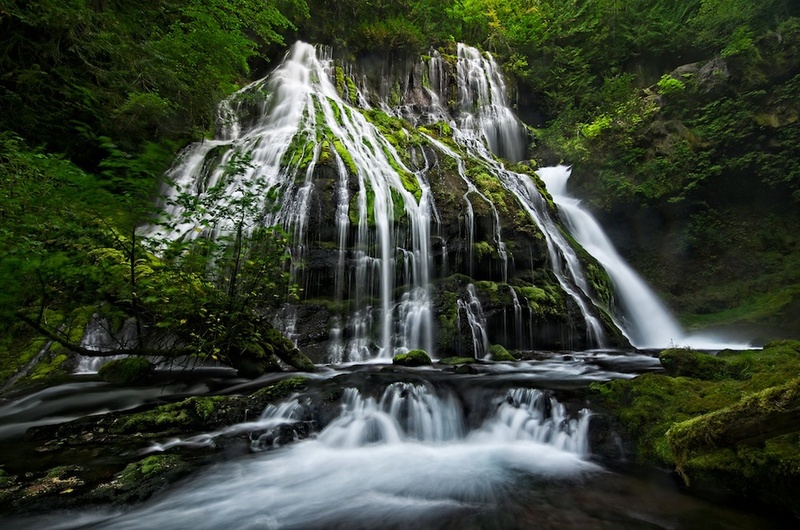 The full cascade of Panther Creek Falls in Washington is something to behold. It's well worth the scramble to the base of the falls. And on a sleepy Sunday morning, you'll have the whole place to yourself. I spent about three hours exploring the areas around the falls – an enormous time for me to spend in any one location. Maybe it's because this type of landscape is new to me. The unfamiliar terrain, being in a forest instead of on a beach, the color! Everything is so green! I certainly understand why this is such a popular place to shoot in the Pacific Northwest.